Famously worn by Kate Moss, the 90's slip dress is not to everyone's taste but you may fall in love with some of the ones I've seen online. Yes it looks like an undergarment or nightwear and you may feel uncomfortable wearing it on the school run or to the supermarket, but they're quite versatile. Last year the slip dress was mainly worn under fine knit polo necks or jumpers, this season, wear with a long cardigan or bomber jacket or style with an open shirt. If you're not a fan of the dress you can't go wrong with a camisole, wear tucked into jeans for a casual look or tucked in a pencil skirt. 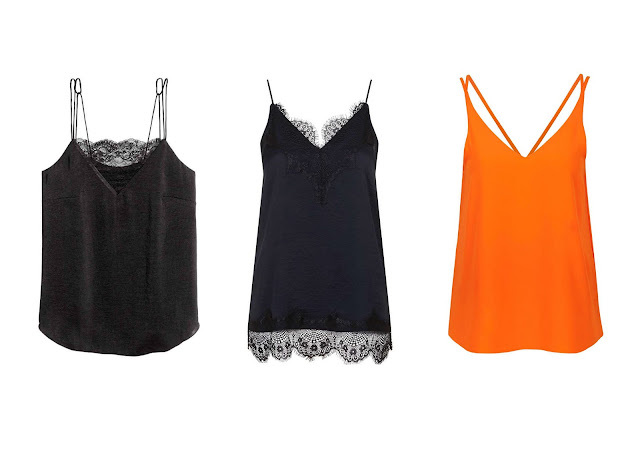 The cami is a staple item, can be dressed down or up in any season and ideal for layering. A lace-detailed cami will look great under an open shirt or low V-neck jumper. These two would look great under a jumper or shirt, especially with the lace detail peeping through. Both the dress and top comes in navy or black. 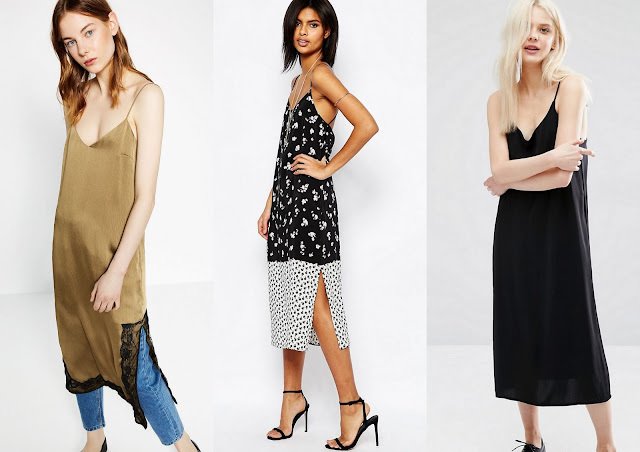 (Dresses here and here, tops here and here).